Sometimes simple instruments and a bit of talent is enough to create something very climatic. This is exactly the case when speaking of Italian band called Aendlex. 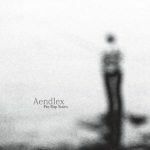 “Pre Rup Stairs” is full of hypnotic guitar sounds and nostalgic vocals of Alex. The material enclosed on the album oscillates somewhere between the acid folk & twisted acoustic achievements of Charles Manson. It is the fourth work of this one man band from Italy, although with a new and alternative approach to composing music: there is not as extensive usage of electronics - tracks were almost solely recorded just with a guitar and voice, to make everything more pure.